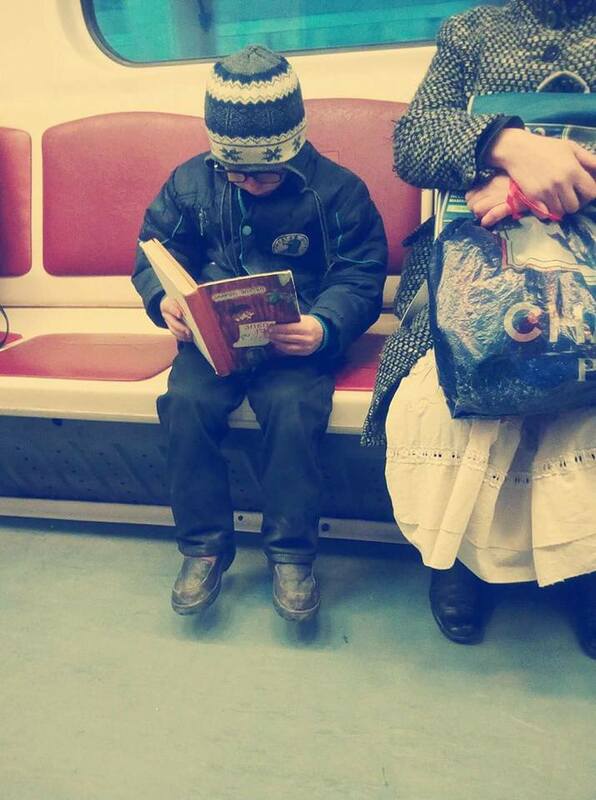 An extremely heartwarming scene has been captured in Tbilisi Metro recently. A little passenger was eagerly reading one of the most beloved books that we all have read in our childhood. As it turned out, the cute boy was reading Winnie-the-Pooh by famous English author A. A. Milne. The little boy with funny winter hat and spectacles gave a good example to elders that transport is the best place where one can read a book and make the time pass quickly.